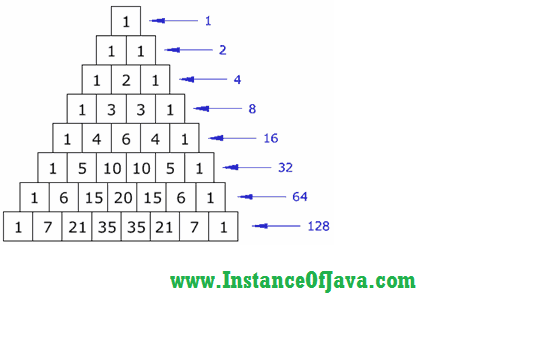 Pascals triangle means arranging numbers in pascal triangle format. First row starts with number 1. Here is the pascal triangle with 8 rows. Program #1: Java example program to print numbers in pascals triangle pattern.